It is hard to believe that 2019 is just a few weeks away. It seems like only yesterday we were in the middle of spring and starting to think about summer. The reality is that the clock doesn’t stop, and the calendar often moves quicker than we would like. If you are like most people in business you probably track your progress every quarter, but definitely at the end of the year. With the chapter quickly closing on another year it is a good time to take a step back and assess your year end and new year goals. Like most investors you probably have dreams of wild success and great financial heights. Expectations are nice, but unless you have a defined vision of getting there you may be left disappointed. 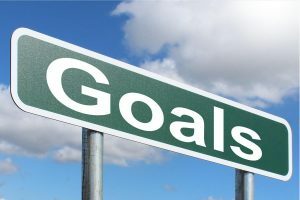 Here are five tips to help you plan an ultimately achieve your 2019 goals. Write goals. It is not enough to simply think about your goals, you need to physically write them down. Everyone has goals that they think about and internalize. However, writing them down makes them real and helps hold you accountable to them. Your goals are solely personal and individual to you. They can be anything from finding a property manager to closing ten fix and flip deals. They can be monetary or focus on business growth. Nobody or nothing should deter you from your goals and what you want to achieve. Now is the time to think as big as you like, while still being realistic. Whether you type or physically write out your goals by hand put your list somewhere easily accessible to you. As you will see you will do more to your list than simply write your goals down, but everything starts with a recognition of what you want to accomplish. Create action plan. Anybody can write down a list of goals. What separates success and disappointment is action. You need to have a defined plan for what you are going to do to achieve them. On your list you need to get specific for how you will from point A to point B. If one of your goals is to increase your pipeline you need to get detailed on how you will find new deals. This could be anything from meeting five new real estate agents a week to joining three new networking groups. It could be increasing your social media presence or buying a list of homeowners to mail. To truly get to where you want to be, you need to be prepared to sacrifice or step out of your comfort zone. Very few people really like going to networking meetings or cold calling potential contacts. Nobody wants to get up early and send emails or stay up late researching new listings. By creating an action plan with every goal, you know exactly what you must do and just need to go out and do it. Evaluate who/what is needed. With any goal it is important to eliminate as many distractions and obstacles as possible. Making an action plan will help you streamline your vision and get you on the right path. It is also critical to consider who and what is needed to help you get there. There is almost always someone or something that can make things easier for you. It could be enlisting the services of a property manager or finding the right investing partner. It could be finding an individual savvy with social media or the right real estate agent for your business. Whatever is needed should be recognized in your action plan. From there you should make it a point to reach out to them and set up a meeting. See if you are on the same page and share the same vision. Even if you are an experienced investor, it is important to find someone that can help achieve your goals. Monitor results. The people who are most successful in achieving their goals constantly monitor them. They evaluate where they are and what they are doing almost daily. This must be part of your new routine. Inside of your big list you should make a sub list that you tackle every day. At the end of the day see how much you got done and where you fell short. Do the same thing at the end of the week and at the end of the month. It is ok to take a step back from your business and take a few hours to evaluate your progress. Make any changes necessary and continue doing what has worked. Without monitoring results, you will quickly fall back into your old patterns. Overcome obstacles. If you are like most people you make a list of goals right around New Years and are super motivated to achieve them. This usually lasts until the first weekend or the first get together. Your goals will not happen overnight, in fact they may not happen for months. If you really want to achieve the success you desire, you need to overcome whatever obstacles are in your way. There will be plenty of setbacks along the way, but you need to keep grinding away every day. Every time you want to give up you need to look at your goals and find motivation. If you stick with its things will get easier and you will ultimately get to where you want to go.